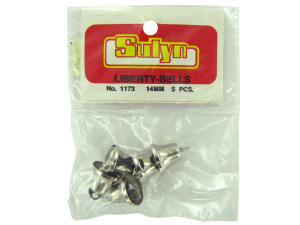 Use these liberty bells for any patriotic project. They include a little hook for hanging from string or ribbon or it can be used for threading a needle through. They have a soft bell sound and are great for a number of project. Each measures 1/2".